Today, the health condition of the Circassian activist Ruslan Gvashev has deteriorated sharply: he cannot get out of his bed and is no longer able to speak. Besides, he refuses to take any injections, his wife Natalia Gvasheva told the "Caucasian Knot" correspondent. "I’m a medic and could do him some supporting vitamin injections, but he rejects everything. He wouldn’t even drink water with sugar," Natalia has stated. "If he has given his word, he will not give up; but we can’t feed him by force. We are waiting for the consideration of his appeal complaint scheduled for October 5, but I honestly don’t know whether he will live till then," she has concluded. Valery Khatazhukov, a human rights defender, has confirmed that Gvashev's health condition has deteriorated sharply over the past 24 hours. "Ruslan Gvashev health condition causes serious concern – yesterday he could speak; and today he is so weak that can’t utter a word," Mr Khatazhukov told the "Caucasian Knot" correspondent. He added that people in Adygea, Karachay-Cherkessia, Kabardino-Balkaria and Abkhazia have reacted to Gvashev’s hunger strike, but Circassian public organizations, including the International Circassian Council, have not said a word in defence of the activist. "I know that they discussed his hunger strike, and were going to speak out, but so far they haven’t rendered any support to Gvashev," Valery Khatazhukov said. 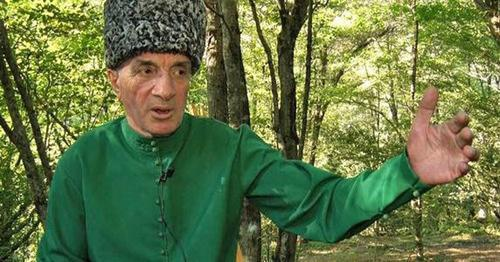 Gvashev's defence claims authorities' attempts to control memorable actions of Circassians, Sukhumi rally calls on Putin to protect Gvashev's rights, Initiative group members claim threat to Ruslan Gvashev's life.